Born in a small Midwest town called Saginaw in Michigan, Ty was a 2 sport athlete at Arthur Hill High school where he earned a scholarship to Iowa Western. After a brief stop at Nebraska University, Ty settled in at Clark Atlanta University where he majored in Business Management. His working career started at The Ritz Carlton where he learned the importance of customer service. After Spending time learning from some of the best leaders at the Ritz, Ty started his first company Hand 2 Hand Marketing. Today Ty runs the day to day growth for Torch Fitness. 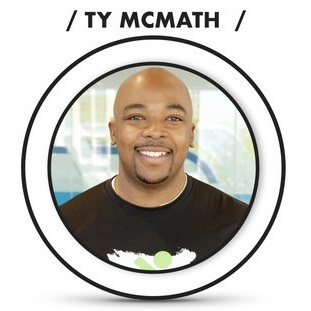 He started with 1 building in 2009 and today Torch Fitness is now in 42 states with over 400 partners including the likes of AT&T, W Hotels, New Balance, Matrix Residential and Cortland Partners. Ty has also started the up and coming healthy product line Torch Fit Supplements. 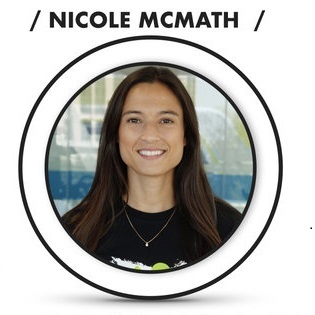 Nicole began working in a biochemistry lab when she learned about the influence of diet on genetics, metabolism, and various diseases. She furthered her nutritional knowledge by completing her Master's degree in nutritional biochemistry and urban community nutrition. Since then, she's received several awards for her research and hard work. Her interest in the ability of dietary constituents to modulate both metabolic pathways (or how our bodies metabolize various things we eat) and gene expression plays an important role in the vision and philosophy of Torch Nutrition. Our goal is to aid clients in making the right choices through science based nutrition recommendations, education, and individual support. Born in small city called Gadsden located in Northern part of Alabama, Jerrell was a Parade All-American and a 3 sport stand out in the nation. Jerrell decided to attend the University of Alabama and get coached by Nick Saban. After graduating in 3 years with a Degree in Human Development and Winning 2 National Championships. After careful planning , Jerrell entered the 2012 NFL draft and spent next four years chasing his first dream of playing professional football. While playing football in the NFL Jerrell started his fitness coaching journey local kids, college athletes and families from his hometown. After retiring in 2012 Jerrell moved to Charlotte, NC and worked full time for Charlotte Athletic Club. Today Jerrell has over 5 years of experience, 100 success stories, 15 kids in college, and 5 Professional players currently playing football. Jerrell Harris took over as our Personal Training Coordinator December 2018 to help continue our growth in building our trainers . We're here to guide and support your journey from the word 'Go'. Our team consists of expert, certified trainers (known as “Change Agents”) who specialize in a variety of fitness and nutrition based programs, classes, and education. Get professional tips on training scheme, intensity and healthy nutrition based on individual abilities and preferences.